Zircon including hyacinth or yellow zircon is a mineral belonging to the group of nesosilicates. The crystal structure of zircon is tetragonal crystal system. The natural color of zircon varies between colorless, yellow-golden, red, brown, blue, and green. Colorless samples that show gem quality are a popular substitute for diamonds and are also known as “Matura diamond”. The blue colored zircons are known as Blue zircon. Today we will also discuss about buying a guide of blue zircon stones, also the wholesale guide to understanding the quality of blue zircon! The name derives from the Persian zargun, meaning golden-colored. This word is corrupted into “jargoon”, a term applied to light-colored zircons. The English word “zircon” is derived from “Zirkon,” which is the German adaptation of this word. Zircon occurs as a common accessory mineral in igneous rocks, large zircon crystals are especially rare. Their average size in when found in granite rocks is about 0.1–0.3mm, but they can also grow to sizes of several centimeters. In geological settings, the development of pink, red, and purple zircon occurs after millions of years, if the crystal has sufficient trace elements to produce color centers. Blue Zircon is always considered one of the most frequent sold zircon out of all the other colors. Infact according to GIA, its 80% of all zircons sold! These credible facts help us understand that Blue zircons is still an under valued stone because of its name “zircon” which reminds people of Cubic Zirconia. Stones like Tanzanite yield a much higher price than Blue zircons, just the marketing difference? Amazing features like mentioned above, Double refractory feature makes it the most amazing yet under valued mesmerizing stone. Wholesale Blue zircon suppliers on the internet are very limited, one of them is GemsNCoins. Retail sellers of Blue zircon are abundant in nature, especially the people who resell on eBay. They display a beautiful array of Blue zircon gemstones, away from the traditional old round shapes that are common. There are always advantages of buying stones from a wholesaler, they retailers margins are eaten up! The color Blue zircon is one of the trickiest things to look out for when understanding the quality factors of Blue zircon. Blue zircon comes in a variety of different colors ranges from Pure Blue – Greenish blue – Yellowish-blue. Surely, the most important color is if you see a Pure blue, like a Swiss blue topaz color, but with some green in it. The latter is very common to be present, but the least amount of green signifies good color. Blue zircon is not found abundant in nature like Diamonds. They are rare and most commonly come from the only location, that is Cambodia. The carat weight becomes very important when understanding pricing factors and quality factors. The larger the zirconia stone, the more valuable it is, having the clarity of the stones equal (clean). It’s rare to find a Blue zircon gemstone above 5 carat. Blue zircons are quite commonly cut shallow compared to deep. The reason is because of the rough formation and color intensifying reasons. 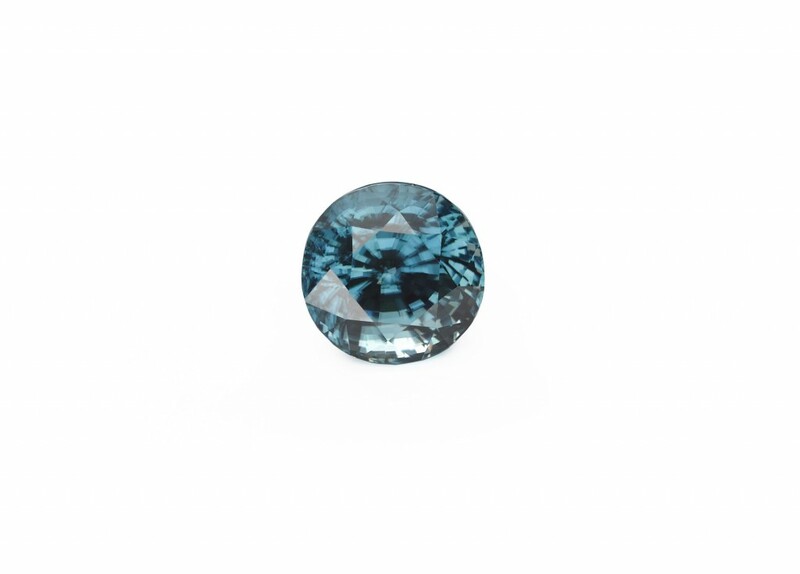 You can purchase many different shapes of the Blue Zircon Gemstone at Gemsncoins. These include shapes like the curvy Pear through to the modern Octagon, they offer stones as large as 8.55ct so, expect a big stone for your considered budget.